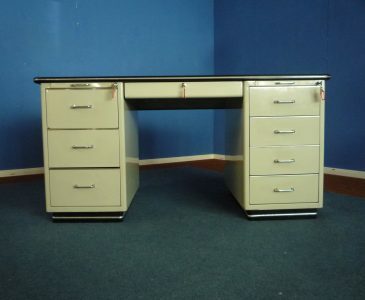 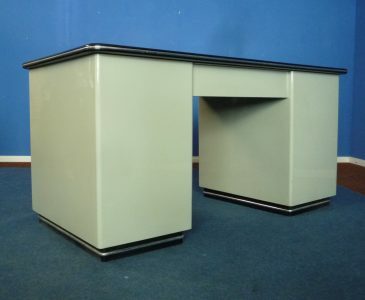 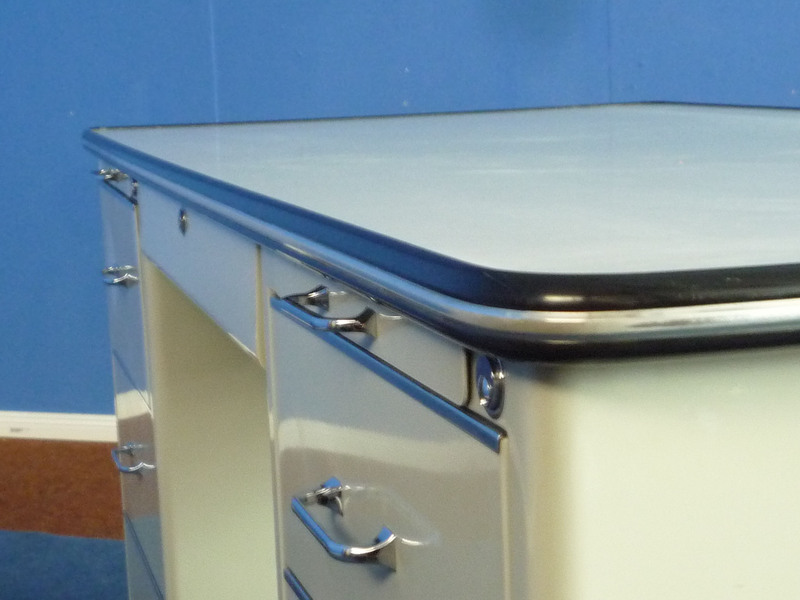 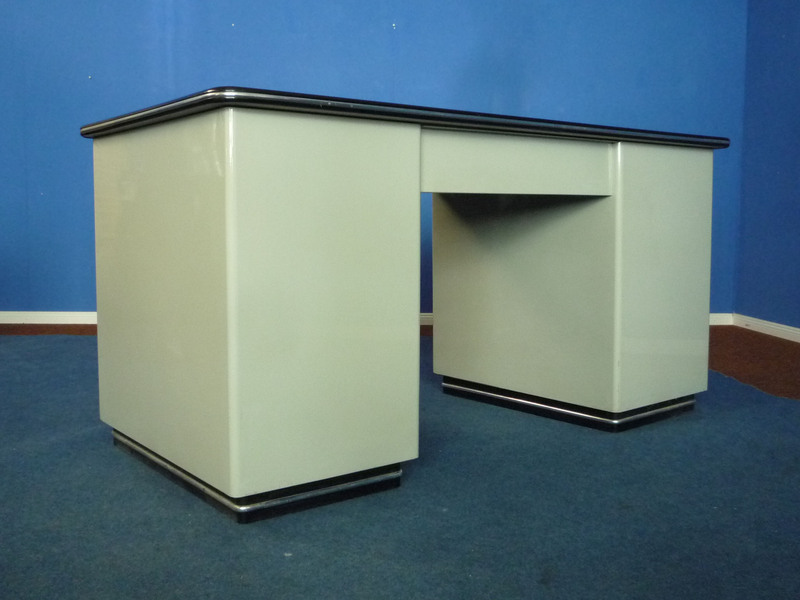 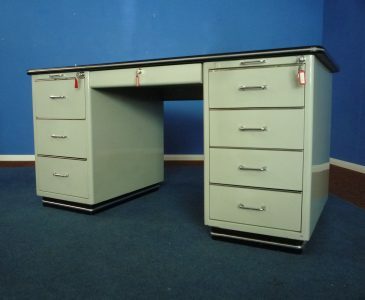 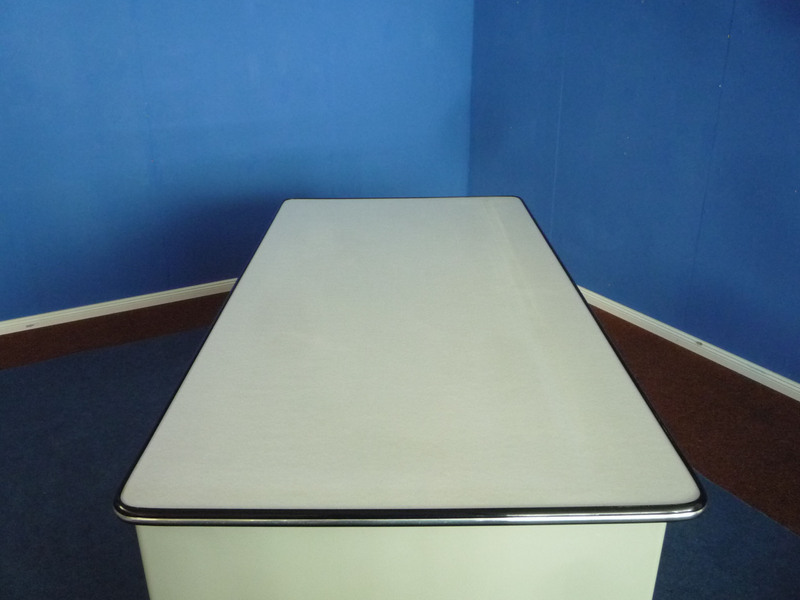 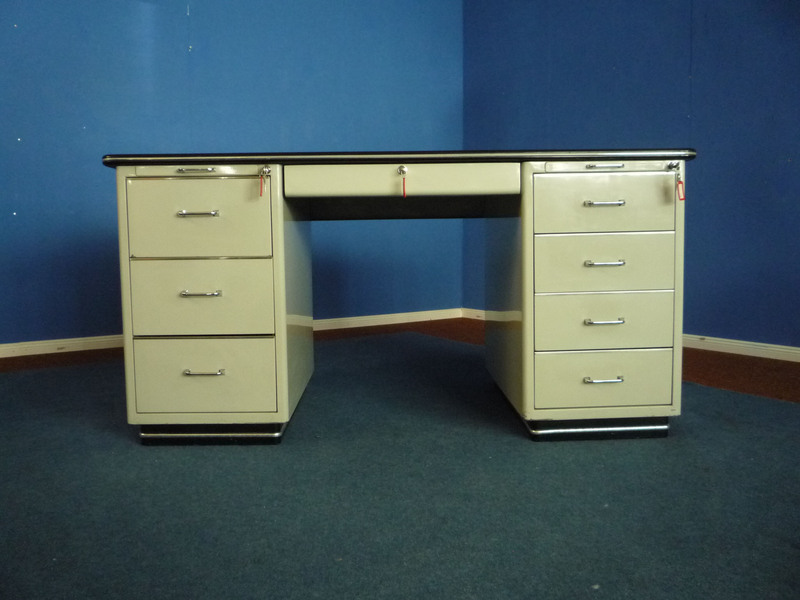 Nice Baisch metal desk from the sixties. 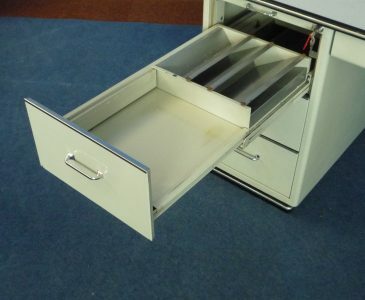 From first owner and until last in use. 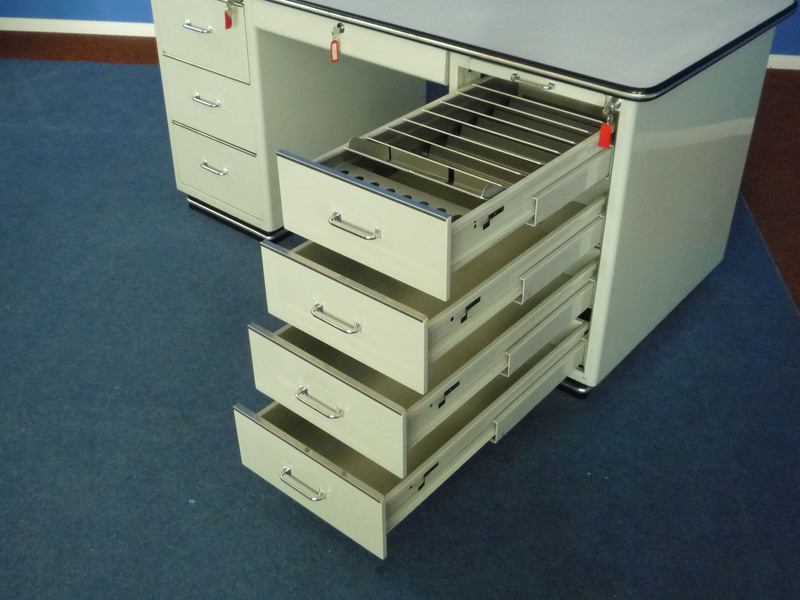 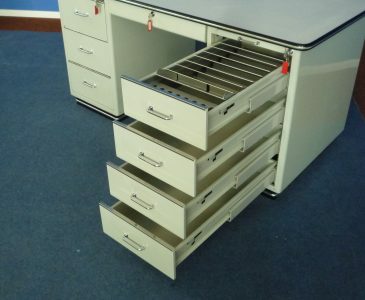 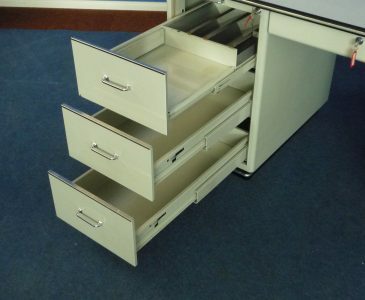 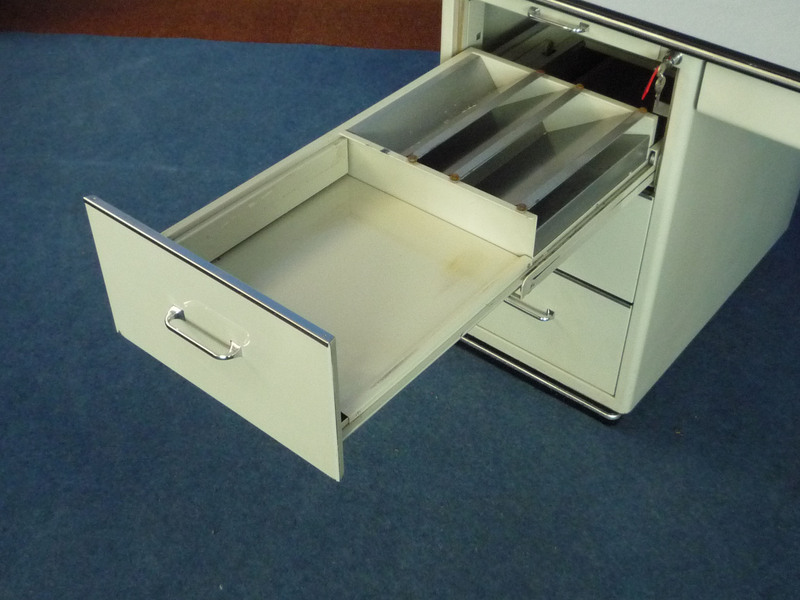 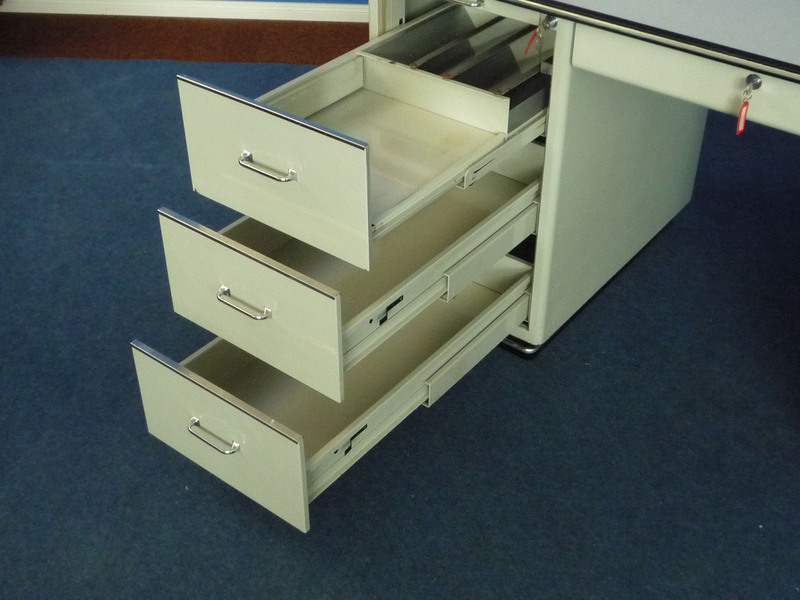 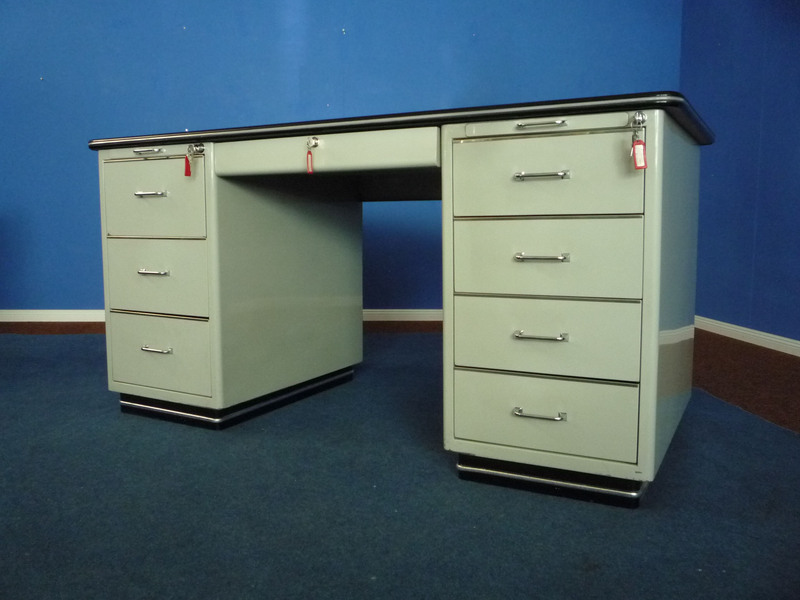 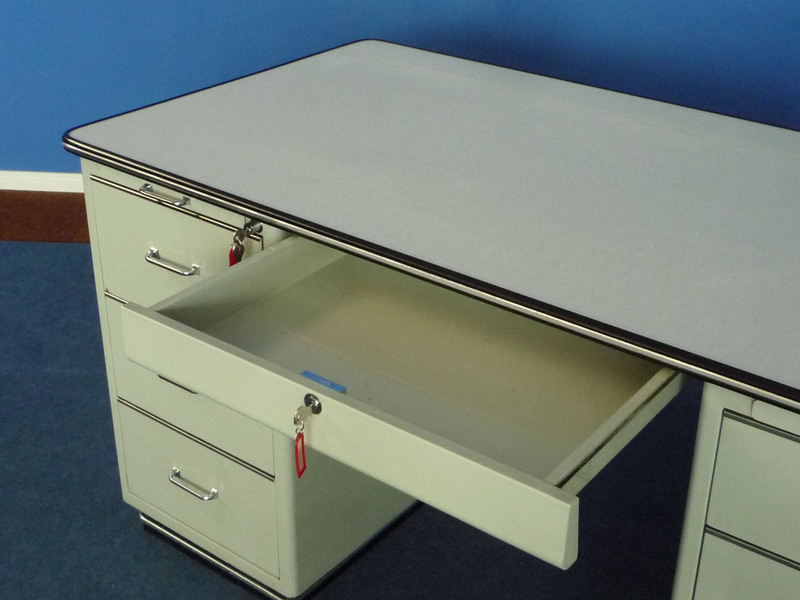 All drawers locks intact and key available. 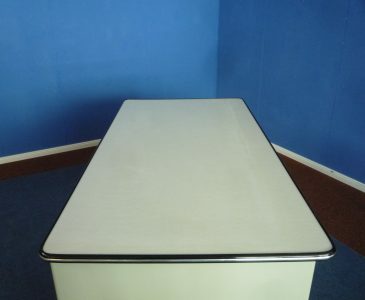 Tabletop Formica. 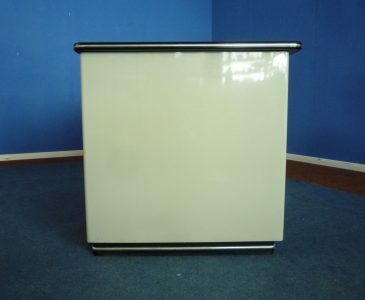 Very good and authentic original condition. Overall minor signs of wear or paint defects. 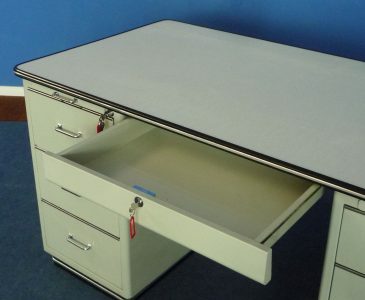 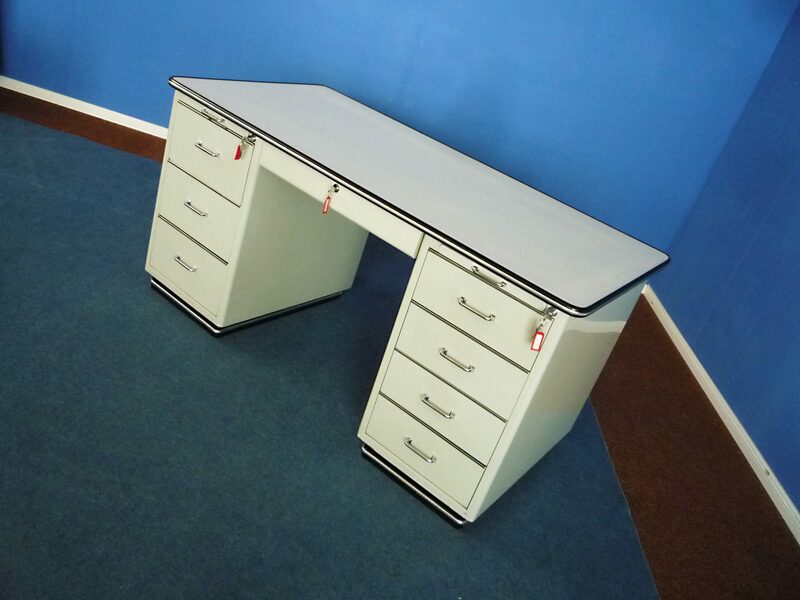 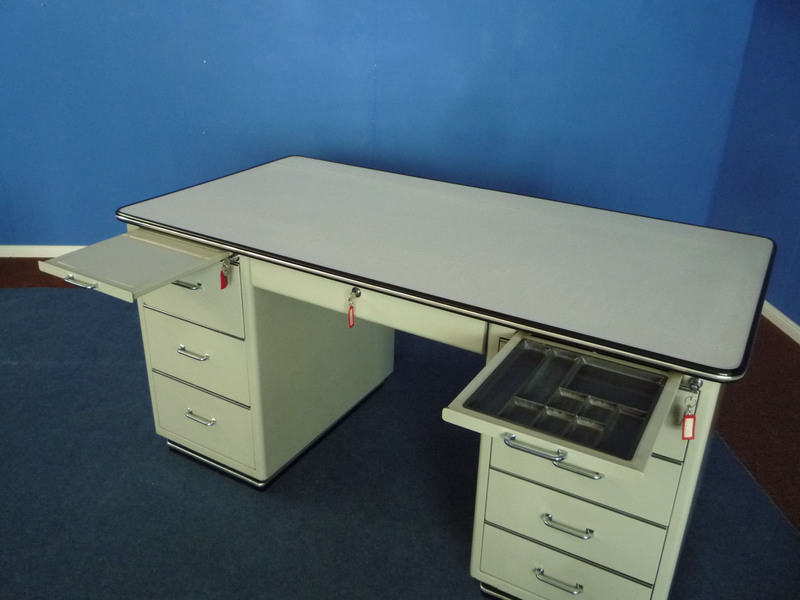 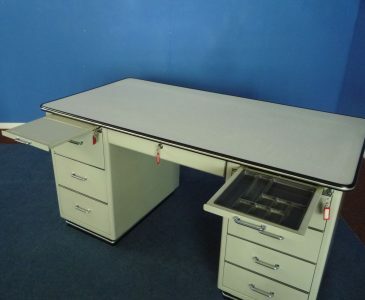 The desk is 3 parts separable. 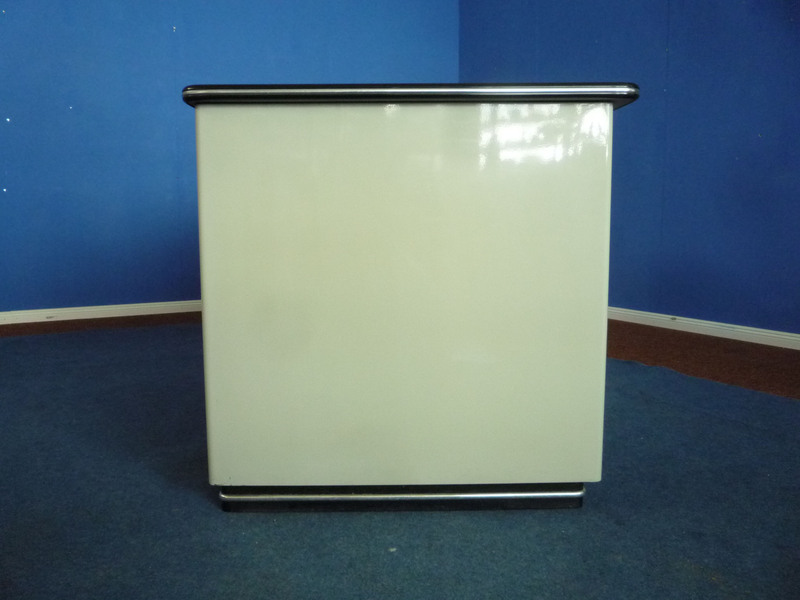 He is clean and complete.